You can NEVER go wrong with purple - It's just so full and easy on the eye. It's definitely my favorite color. I don't really wear it to often, or even own many purple clothes for that matter. 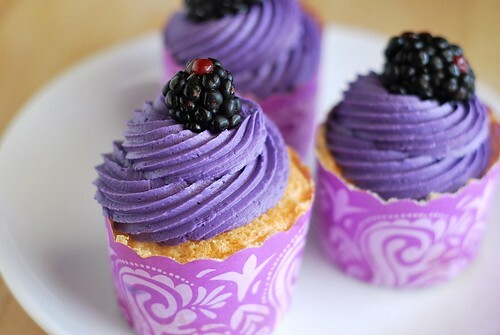 And never have I baked or cooked anything purple...besides berry-something-or-another. This icing looks heavenly! !...And I will be trying this soon!